Cricket was my familiar, my baby, my little soulmate. We chose each other and stuck together like glue. 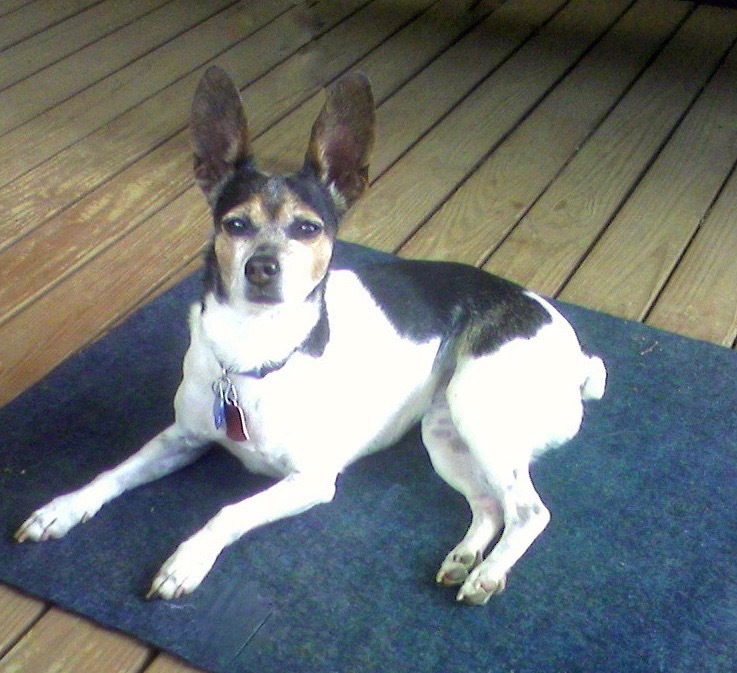 When I got Cricket from rat terrier rescue, she was already about six to eight years old. 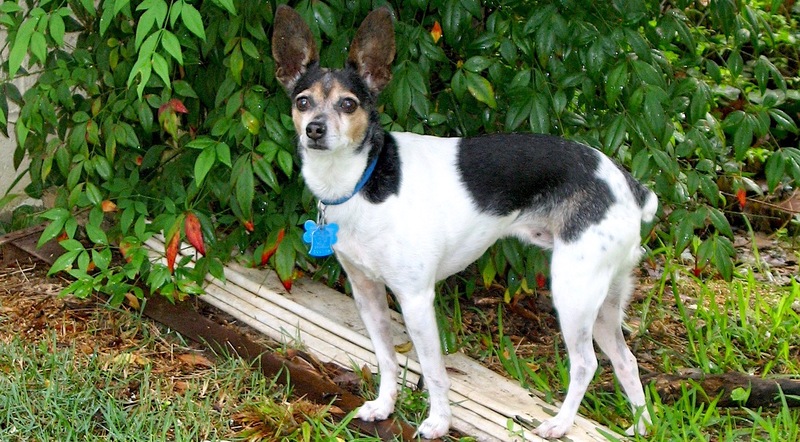 I thought I was in for heartbreak by adopting a middle-aged dog. Well, I was, but not because we got only a couple of years. We got ten years, and I’m so grateful for that. But I was still in for heartbreak because of how much we loved each other and because ten years, or twenty, or thirty would never have been enough. Cricket as I remember her best: confident and direct. The other dogs disliked her direct gaze. Cricket was a robust little thing. Only 12 pounds, but sturdy, intense, brave, and frankly, bitchy to other dogs. Even with limited interactions between the two of them, Cricket managed to intimidate my very pushy puppy Clara, who quickly grew to be more than three times Cricket’s size but never even thought of messing with her. Cricket never had many health problems. The worst thing that happened was that she would repeatedly scratch her cornea when rolling in the grass and had to wear a cone on her head for long periods during the summer. And as she aged, she developed neurological weakness in her hind legs. But that was it, man. Otherwise, she was healthy as a tiny, sturdy horse. So as bad luck would have it, this strong little dog who was aging so well and was so physically strong started to lose her mind instead. I had some experience with dementia since my mother had Alzheimer’s, but I had no idea dogs could get it until then. I tell the story of Cricket’s diagnosis and how I learned about dementia in my book. But that’s not my focus today. Most of the people who come to this website are already struggling with the thought of euthanizing their dogs. So I am going to skip ahead, over our wonderful years together, and go to the end. I have to be honest. I could talk about the tragedy of canine cognitive dysfunction and the pathos of watching a dog’s mind deteriorate. Those things are real and commonly experienced by owners. But in my case, once I learned what was going on, I rolled with it. Goofy and mixed up, she was still my little Cricket. She was still essentially herself. I do realize now that, while I had to deal with some pretty difficult symptoms (like her pooping on the rug and walking around in it almost every day), we had it easier than a lot of others. She actually slept at night. She got quieter instead of barkier, to the great relief of my other dogs. But this is the hardest thing to explain: I wasn’t really that sad about her dementia. Of course, I wished she had all her marbles. She had been such a sharp little dog. But I could and did accommodate her decline. She lived for two years after her diagnosis. I couldn’t be sad all the time. I loved her fiercely. She was still 100% my little girl. I started agonizing over the decision of when/whether to euthanize her pretty early in the game. She scratched her cornea again when she was 15 or 16, and since by then she couldn’t cope with the plastic cone, I thought I was going to lose her. Over a scratch in her eye! But I found another kind of device she could wear that prevented her from bothering her eye, and she healed up and was fine. Whew. Thank goodness for the inflatable doughnut. But from then on, I was always assessing. Was she happy? Were her days mostly positive? Was I being selfish by keeping her with me? Was she miserable because of her declining mental capacities? I checked with trusted friends regularly to make sure I wasn’t unduly biased. Through observation, I determined that she wasn’t bothered by her decline. She didn’t know about it. This is true of many humans with Alzheimer’s as well. Not all, but many. There is even a name for the syndrome of not knowing you have something wrong with you: anosognosia. It is actually a typical symptom of dementia. And to all appearances, Cricket had the doggie equivalent of that. What Are the Problems With Common Attitudes To Euthanasia? I feel confident in reporting about typical attitudes in the U.S., and these may be prevalent in most other English speaking countries as well. People who can afford to give their pets good medical care usually decide to euthanize their pets when they won’t eat and start to waste away. If we feel like we can control the pain of whatever condition they might have, we take “not eating” or sometimes “unable to walk” as the main turning point. But I have come to observe that many pets are already living with pain and a poor quality of life before they refuse food or become too weak to walk. I started listening to wise people like Blanche Axton and Sue Matthews, who both wrote beautiful pieces about their attitudes towards euthanasia and were kind enough to let me reprint them in my book, Remember Me. I think the chapter where the three of us tell our stories gives more comfort to people than any other. They—and I—don’t want to squeeze out every last day our pets can handle. We want to help them leave this life before the final decline. The saying, “Better a week too early than a day too late” has become my mantra. I imagine this is shocking to some people. We all need to make our own decisions about this. But I bet also that to some people who are struggling with guilt over a dog with dementia it can be a great comfort. In 2013, Cricket could no longer go on a real walk (she circled instead). She got trapped behind stuff and paced or circled much of the day. But she still went to work with me most days. She had a good—a great—appetite. And she still knew me. This was pivotal for me, and I don’t think I was being self-centered. She had gone through periods of anxiety early in the onset of dementia but seemed to have passed through them. The medication she was on, selegiline, probably helped. But I feared the day she would forget me. Maybe the anosognosia would help there, too. Maybe she could keep sailing through life just fine without me. But I didn’t want to risk it. So that was one benchmark I was conscious of. I wanted to let her pass out of this world before she forgot me, lest she would become anxious again. A friend remarked how she always stayed close to me. When I was present, she would toddle up (remember the rear end weakness) until she could sniff my leg to make sure it was me. Then she would stick around with me. She would stay with her head right next to my leg, her nose often touching. This was such a comfort to both of us. And a signal to me of what was important to her. In the spring of 2013, I observed that she enjoyed our time together outside less. She had lost most intention. She still peed when I took her out, bless her heart. But after that, she would simply walk downhill, wherever that took her. She had little volition. And she was less interested in smells. In late March she forgot how to drink water. She still had an appetite and ate healthily, but she had forgotten how to drink water. I made all of her meals into soup with milk or unsalted broth, or just water in a pinch. She continued to eat with gusto and I kept her hydrated that way. But I knew her quality of life was teetering. She grew frailer. She had no metabolic or internal problems that I knew of, but her rear end weakness was making it harder to walk. Her balance was poor and when she did walk she had no idea where she was going. I knew the time was coming, and I obsessed about when. I was proud that she was still at her lifetime normal weight of 12 pounds. She was still eating great. When might that change? What else might change before that? People often say that the dog will “tell you when it’s time to go.” My opinion may not be a popular one, but I believe that when we wait for dogs to tell us, we have often waited too long. So many dogs are stoic. The day they lose one more pound and look more emaciated, can’t get up to stand, or look at us pleadingly may well come after they have already suffered. We can’t eliminate all suffering, but we don’t have to force them to go down this road, either because we want their companionship or we feel guilty taking our beloved dog’s life. So I didn’t wait for a signal from Cricket. She was cognitively impaired, after all. I can be sentimental and romantic, but I won’t do it at my dog’s expense. It’s a romantic thought that the dog will know when it’s time to go and somehow convey that to you. I decided not to count on that. The day Cricket had a major seizure, I decided to euthanize her. That, to me, was the turning point that indicated we were looking at a downhill slope in her quality of life. It was one of the hardest things I’ve ever done, but I decided to euthanize her immediately. I didn’t try for a sweet last day or night. The weekend was coming up and I didn’t want her to have more seizures. And I had already been trying to make all of her days sweet. These are some of the hardest words I’ll ever write, but Cricket didn’t go easily. The vet had to use six times the normal dose of the drugs to euthanize her. There was a point during the process where, if I could have, I might have changed my mind. But I was afraid she would be left with permanent damage if I tried to reverse the process. In the end, I still think my decision was the right one. But when she sat in my lap, alertly looking around, after the first dose—double what should have euthanized her—it was agony. On the other hand, I had long known that this was the way she would go out of the world. She was tough—terribly, terribly tough—and full of life. She wasn’t going to make it easy for me. That’s who she was. It is very, very hard to euthanize a dog who can still walk, will still eat, and has it in her to growl at the vet. I can’t count how many times people have come to this site with a dog who is in very late stage dementia but the person is convinced that they are being selfish for considering euthanasia. These people don’t strike me as selfish. Not at all. I think in some cases, euthanasia is the most unselfish things we can do for our dogs. Dogs with metastatic cancer or end-stage kidney disease are obviously ill. We can see their suffering. But sometimes, when dogs with advanced dementia still have fairly healthy bodies, we can’t see it. But canine cognitive dysfunction is a progressive, debilitating illness, as serious and impairing as many others. You folks who come to this website are almost all suffering. You don’t usually get a lot of praise or affirmation from the world for all you are doing. But you are heroes to me because of the amount of thoughtful, endless care you provide for your sweet, ancient, confused dogs. I wish for peace and comfort for all of you and for your dogs. See more resources regarding euthanasia here. Thank You for this article…im on another sleepless night with my Jade. She is 14 + catahoula. In her prime a strong wise full of life. Now …nothing of her former self. I know if she could tell me in her own words…she is ready. Thank you for this article, now I dont feel like im a cold monster. Beinfg a nurse in a hospital I see dementia in humans how horrible it is to have a body that keeps going but a mind that has failed. Its such a hard decision but she deserves dignity and to be remembered as she was with. I can say for sure you are not a monster. You wouldn’t have ended up here, searching for information and solace, if you were. I’m so sorry about your dear Jade. There are a lot of people here who understand. We are hospice fosters.In saying that over 8 years we have had to make the decision many times however we have saved many lives that would have not been had they been destroyed because they were old n owners wanted puppies. Never an easy decsion…bless all of you who have had to make it. Thank you so much for your words. We are at the point where we have decided to euthanise our much loved Teddy, we will have our last evening with him this evening. We are all a mess but we know it is the right thing to do. Reading the account of your own decision-making process has been immensely comforting and has reassured me that now is the right time for him. I’m so sorry for your loss of Teddy. I’m really glad my words were helpful. Take care. My beloved Riley of almost 16 years is now at peace. He crossed the rainbow bridge earlier this evening. 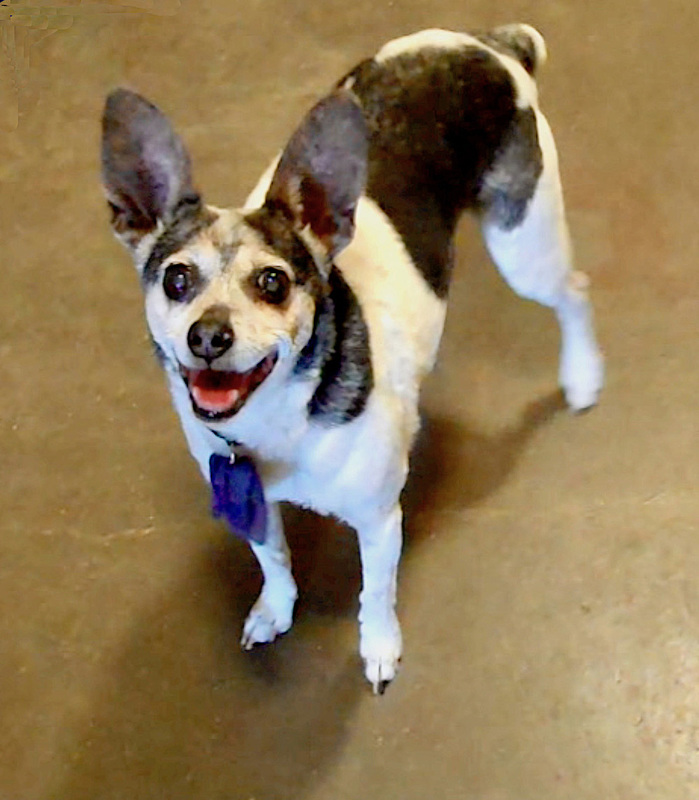 The last couple weeks were especially difficult for him – the anxiousness, tight circling and falls increased so much. As he lay in my arms as he crossed I could feel the peace come over him – although the decision was so difficult I knew in that moment it was the right decision. I know now he has his playfulness back and is chasing that ball he loved so much! I wish you all peace with these difficult decisions. God bless you! Sorry for your loss Mark. Thinking of you, and Riley. Know that RILEY is romping & chasing that ball! Riley will be teaching my Sophie Girl how to romp & play too! Twenty -two weeks ago, I sent her over the 🌈 Bridge. I’m so sorry Mark. This group was so helpful when I put my sweet Beezle to sleep 2 wks ago. One of the hardest descisions of our life- but the right one. We just got his ashes back- and the pain came flooding back/ but still through the tears- still the right choice. Best wishes to you and everyone reading this! Thank you all for your kind comments at this difficult time. This blog has been so helpful to me the last few months. It is a wonderful blessing for those of us who have pets suffering from CCD. Thank you. 13 weeks ago today Oscar and I said are goodbyes.I want you to know my little buddy you where and are and always will be my heart and soul.I miss you so much,the bond we shared will be like no other.Thank you for the most wonderful 16 years of my life,I always kiss you goodnight and first thing in the morning.I LOVE YOU OSCAR HUGS AND KISSES. Yep, article’s touched a nerve. Nora’s been with me over 8 years. Scottie, rescued from a hoarder in 2010 with 13 others, she got returned to Scottie Rescue after having been placed with one of her siblings (who got kept) when she wouldn’t ‘settle’ as they’d put it. Basket case for a couple weeks at first, owing to the traumas she’d been subjected to with all the changes. She might be 9, could be 14. No idea. We’ve had 8 Scotties over the years, all but the first one came from Scottie Rescue. We were happy to take in those with challenging ages so we’re used to their time with us being short. Still, Nora’s such a sweetie, when she was diagnosed with an inoperable stomach tumor last November, along with some liver anomalies, we knew what was going to happen sooner than later. She’s eating well enough though grown very picky about what and how much she’ll eat. No accidents yet, she’s mobile enough and motivated to go out when prompted, thankfully. Most troubling is the frequent morning vomiting of (mostly) mucous, the most obvious external sign of what’s going on. That she suffered a ‘melting ulcer’ after scratching a cornea early in December didn’t help matters. A blood serum treatment protocol suggested by our vet succeded in 100% healing but it was a rough two months. That she seems to still enjoy being around & about with us keeps me from that inevitable last trip to the vet’s. Your perspective gives me some comfort over whether I’m putting it off to her detriment, or if – as I hope – it’s just not quite time yet for us to go our separate ways. Nora sounds lovely. I’m sure you will make the right decision if it falls into your hands that you need to take action. I’m glad my perspective helped a little bit. Take care. 8 Months ago my Yorkie had a stroke. I thought I was going to loose her but some how she got better. She was in the hospital for a week and after tests/MRI we found out she has Dementia. It has now been 9 months since that hospital stay. The first 3-4 months after the hospital she did well, however the last few months has been a decline. The last 3 weeks being the hardest. Countless nights with out sleeping! She barks at the wall, all day/night. She circles over and over when she is not sleeping. I dont know what to do anymore! She is 15 and I have had her since she was 12 weeks old. She is like my child. I have a vet appointment today to get guidance because I cant continue to live this way. Seeing her circle and bark at nothing all day is very stressfull. I dont even know if she knows me anymore. Need guidance. I’m sorry for the delay in approving your comment and writing back. What did you find out at the vet? Feel free to write again. There are several people here who have been through what you are going through, and I know they will chime in to help. Your article was extremely helpful to me this evening I have struggled for weeks to make this decisions. You are right, that each time you assess the situation , you talk yourself in and out of it 1 million times but ultimately our little Bunnie (Jack Russell @ 16 1/2 hrs ) has no quality-of-life no more going on patrol every day she can’t say she has back trouble with her hips and legs she can hear us anymore and she walks herself to death just about in fact I thought that that would kill her but it hasn’t so far. Each day present her with a new challenge and us a new set messes to clean up . I want to remember her at her best times not her worst . Again I just wanted to say thank you for providing this blog to so many people that seem to be helped by this blog. Tomorrow is our day to say goodbye to our sweet angel and have memories for a lifetime . I’m so sorry for your loss. Little Bunnie was so very lucky to have you. It’s such a hard decision, but it sounds like you acted out of love and Bunnie’s best interest. Believe me, I know how hard it can be. Take care. Cathy so sorry to read about your bunnie,i also had to make the decision on Dec 8 2018 to say are goodbyes,Oscar and myself it was and always will be the hardest decision to make.But the more I read what Oscar was going through I know I made the right decision I still feel guilty about it and miss him so much he also was 16.5 years old.Sending out Hugs to you. 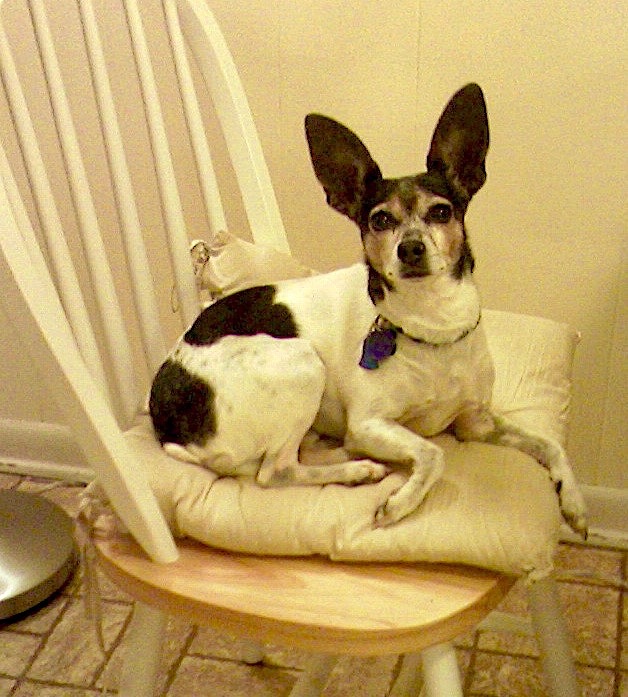 Our 14 year old is beginning to suffer from CCD – sleeping all day, the pacing and panting at night. We’ve been back and forth to the vet and all trials on pain meds indicate it’s not pain, but CCD. Our hearts are breaking and we are exhausted. She is eating well, happy, rolling in the grass and on the carpet like a puppy and alert, except for the night time pacing. We too wonder how long till we know and this is after having to put four other of our beloved pets down due to old age or illness. They are all different. Our little Maltese did the same as your Cricket – she fought till the end. She barked constantly and paced constantly, so our vet provided a dose of Valium to sedate her and instead it revved her up! She was so out of it though that through her barking and barking, she stumbled down the stairs before I could catch her. On top of that she was blind in one eye and deaf at the end. When we made the decision to end her suffering, she fought the medication. I felt awful! But it was the right decision. Gosh, I just keep hoping that our Maggie will just pass in her sleep peacefully. That’s kind of amazing about the Valium, because Cricket also had that kind of reaction. She got jazzed up and wove around drunkenly. I had gotten it ahead of time for when I would have to take her to get euthanized. It was good that we tried it beforehand because it would have made things worse. And yes, she fought until the end. That was so hard, and I know it must have been for you, too, with your Maltese. I hope for peace for Maggie, and for you, as well. I did have one dog pass away at home. He was ill but not miserable, and he died suddenly. It really was easier on both of us I think. Take care. We made the dreaded decision to put our Little 20 year old Poodle Bailey to sleep today. It was the most hardest things to do. Even though he had dementia he was other wise doing ok. He ate and drank well but like the rest the constant walking and pacing for hours finally took a toll on his little body. He was here in body but not in mind. We loved that little guy so much it hurts. We fought daily the choice as to what to do because some days he seemed to do better and we thought this is great but the very next day this went down hill again. But now even though this was a heart breaking decision we know it was best for him. So my heart goes out to any one who has to make this decission. Just remember this is whats best for them. Patty,sorry to hear about boomer.I also was faced with the same back in Dec.It’s a hard decision to make but the quality of life just is not there.I miss Oscar so much but I know it was the right thing to do he was just not Oscar anymore he looked so sad everyday and now that I think about it he didn’t even recognize who i was anymore.We wish our pets could live forever but their life just like ours also ends,ENJOY EVERYDAY THAT WE HAVE WITH THEM I KNOW I DID HE GAVE ME OVER 16 YEARS OF FUN AND MEMORIES I WILL CHERISH THE REST OF MY LIFE.,HUGS OUT TO YOU. Hi Patty, this is a very tough decision. With regard to family, if they don’t have exposure to Boomer on a daily basis it can be difficult for them to realize the severity of Boomer’s condition. I faced a similar situation with my Riley but my family was very supportive of me overall and realized how severe Riley’s CCD was after spending a little more focused time with us. I wish you and Boomer peace with this very difficult decision. I miss Riley every day!